Minister of State for Youth Affairs and Sports Rajyavardhan Singh Rathore said that UK court order on "Vijay Mallya's extradition to India is a major victory in the government's war on UPA's scams." "The govt's relentless persistence, under PM @narendramodi ji's leadership and focus, has resulted in this win for INDIA!," he added. BJP MP Subramanian Swamy said that by the end of January, Mallya could be brought back to India. "Prime Minister deserves congratulations for seeing that none of our investigating agencies is blocked in doing their duties, unlike in the past," Swamy was quoted as saying by ANI. Commenting on the Westminster Magistrates' Court order, Vijay Mallya said that his legal team will take further steps after reviewing the verdict. He termed the court verdict as 'unfortunate'. Mallya added that he was not shocked following the court's order. A top UK government source said that it will respect judiciary's verdict ordering Vijay Mallya's extradition. "Mallya file will be dealt with swiftly," the source was quoted as saying by CNN News18. "He will have access to personal medical care to manage his diabetes and coronary problems... There was no ground at all to believe that he faces any risk at all (in jail)," the judge ruled. The judge ruled that Mallya would remain on same bail conditions. "Having considered evidence as a whole. 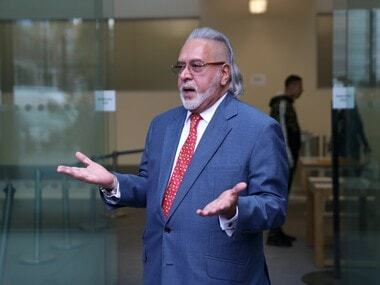 There is a case to answer," Judge Arbuthnot said as she ruled that 62-year-old Mallya could be extradited to India to stand trial on the charges brought by the CBI and the ED. She was also extremely critical of how loans were granted and then used. Union finance minister Arun Jaitley welcomed the UK court's verdict ordering the liquor baron's extradition to India. "An offender benefited during the UPA. The NDA brings him to book," Jaitley said in a tweet. An extradition of Mallya would be a huge win for Prime Minister Narendra Modi months before an election, after opposition parties said the government had given a “free passage” to the business tycoon to flee, an accusation it denies. Judge Emma Arbuthnot, England’s chief magistrate, decided there was a prima facie case against Mallya, who moved to Britain in March 2016, and his human rights would not be infringed if he was extradited. Her ruling will now be passed to the interior minister who must also approve it. Commenting on the verdict, a government official said that the UK court accepted that Mallya has committed a crime. He added that the government is positive that it would get political clearance on the liquor baron's extradition to India, CNN News18 reported. Westminster Magistrates' Court Chief Magistrate Judge Emma Arbuthnot ruled that Mallya can be extradited to India to stand trial on the charges brought by the CBI and ED. The judge referred the extradition case to Secretary of State. The ruling marked a significant point in the high-profile extradition trial that has lasted over a year. Mallya has now 14 days to appeal against the order. Mallya's extradition now will be referred to the UK secretary of state. The Central Bureau of Investigation has welcomed the court order. Both sides will have the right to file for a permission to appeal in the Chief Magistrate's ruling in the UK High Court. Mallya, while talking to reporters outside the Westminster Magistrates' Court, said that he has never been dismissive about payment concerning Kingfisher employees. "For the last two years, we have made two applications in the court, urging the court to pay the amount to the employees," he was quoted as saying by Business Today. Mallya added that if the court accepts his settlement offer, employees should be paid first. Vijay Mallya and his team of lawyers has reached Westminister's Court in the United Kingdom. Media was seen posing questions and thrusting television mikes towards him. He smiled. This [case] is a complelety separate matter. I have filed applications in the Karnataka High Court which is being heard today. I want to dispute the theory that I 'stole' money. As far as today is concerned, I have been watching with great interest all the Indian television channels. There is nothing genuine or ingenuine. The offer has been made to pay. The assets have been attached by the ED and they can't be bogus assets. Vijay Mallya’s extradition trial is expected to start at 3.30 pm. The hearing will go on for an hour. The magistrate's court will start hearing the case to decide on Vijay Mallya's case at 3.30 IST. The hearing is expected to take around an hour. Mallya and his team of lawyers are expected to come to Westminster Court any time now. Media has gathered in large numbers outside the court. "If the judge is satisfied that all of the procedural requirements are met and that none of the statutory bars to extradition apply, he or she must send the case to the Secretary of State for a decision to be taken on whether to order extradition," explains Pavani Reddy, a UK-based legal expert and Managing Partner of Zaiwalla & Co. The judge's decision on whether to send Mallya's case to UK Home Secretary Sajid Javid can be appealed with the UK High Court's permission, with the person to be extradited entitled to make an application for permission to appeal to the High Court within 14 days of the date of the Chief Magistrate's ruling. "In case the concerned individual does not file an appeal, and Secretary of State agrees with the magistrate's decision, then the individual must be extradited from the UK within 28 days of the Home Secretary's extradition order. "This will also apply if an appeal lodged by either party in the High Court is unsuccessful, but the 28 days will commence from the date when the appeal hearing was concluded," said Reddy. Authorities at the Arthur Road prison have kept a high-security cell ready for former liquor tycoon Vijay Mallya if he is extradited from UK in connection with loan default cases against him in India, an official said Monday. If extradited, Mallya will be lodged in one of the high-security barracks located in a two-storey building inside the prison complex, which also housed 26/11 Mumbai attack terrorist Mohammad Ajmal Kasab, a prison official said. A high security cell has been kept ready at the jail located in central Mumbai, he said. "We are fully prepared to lodge him safely at our correction centre. If he is brought here, we will take care of his safety and security," the official said. Last week, Mallya took to social media with an offer to pay back 100 per cent of "public money" to various Indian banks and urged the government to accept his offer. The businessman stressed that the extradition issue was a "separate" matter which will take its "own legal course". If extradited, Mallya will be housed in Barrack 12 of Mumbai Central Prison on Arthur Road. He will kept in one of the three ground floor cells of the two-storey barrack. One of the cells is currently occupied by media baron Peter Mukherjea, accused in the Sheena Bora murder case. The barrack was made fire and bomb-proof for 26/11 terrorist Ajmal Kasab who was lodged here till he was hanged, a Times of India report said. Mallya has in the past voiced apprehensions about jail conditions in India and how he would be treated in jail on being extradited to India. His defence team has said that conditions in Barrack 12 of Mumbai were ‘far from satisfactory’. Judge Emma Arbuthnot had asked the Indian authorities to submit a "step by step video" of Barrack 12 for "the avoidance of doubt" over the availability of natural light in the cell where the businessman was expected to be detained pre-trial, during trial and in the event he was convicted by the Indian courts. A Home Ministry official said jails in India were as good as in any other country in the world and prisoners' rights were fully protected in Indian jails. Mallya's apprehension about a threat to his life was "misleading", the official said. The Crown Prosecution Service (CPS) team, led by Mark Summers, laying out the Indian government's prima facie case of fraud and money laundering against Mallya, earlier argued that Mallya never intended to repay the loans he sought in the first place because his airline's demise was inevitable. The defence tried to establish that Kingfisher Airlines was suffering from consequences of a wider global financial crisis around 2009-2010 and that its failure was a result of factors beyond the company's control. "There are clear signs that the banks seem to have gone against their own guidelines [in sanctioning some of the loans]," Judge Emma Arbuthnot had noted during the course of the trial. Mallya's defence team, led by Clare Montgomery, deposed a series of experts in an attempt to prove that the erstwhile Kingfisher Airlines' alleged default of bank loans was the result of business failure rather than "dishonest" and "fraudulent" activity by its owner. It opened with the Crown Prosecution Service (CPS) team, led by Mark Summers, laying out the Indian government's prima facie case of fraud and money laundering against Mallya. Summers sought to establish a "blueprint of dishonesty" against the businessman and that there are no bars to his extradition on human rights grounds. Mallya, fugitive economic offender, faces a case of loan default to the tune of Rs 9,000 crore besides allegations of money laundering and diversion of loan funds for purposes other than they were meant for. He is in self-imposed exile in London. He left for the United Kingdom in March 2016 taking advantage of the dilution in the CBI lookout notice against him. Indian agencies are seeking to extradite him. The case will be heard by Westminster Magistrates' Court in London today. 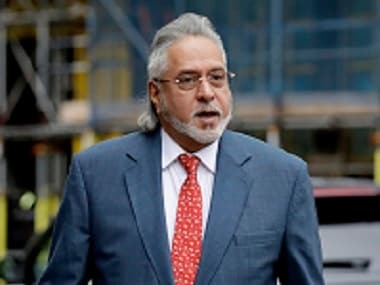 A team of officials led by the CBI's Joint Director, S Sai Manohar, left for London on Sunday to attend the crucial hearing in the extradition case of embattled liquor baron Vijay Mallya on Monday, sources said. Manohar will take the place of Special Director Rakesh Asthana, who had been attending the trial till now. The government had sent Asthana on forced leave, divesting him of all powers after he and CBI Director Alok Verma entered in a bitter feud. Two officials of the Enforcement Directorate are also accompanying the CBI officer, sources said. Manohar is part of the SIT earlier headed by Asthana. The Westminster Magistrates Court in London is expected to pronounce its judgment in the extradition case of fugitive liquor baron Vijay Mallya today. The court is hearing the case on India's request. 1. You're still silent on the #RafaleScam, is protecting #AnilAmbani more important that telling the people the truth? Fugitive economic offender Vijay Mallya has contested his extradition on the grounds that the case against him is "politically motivated" and the loans he has been accused of defrauding on were sought to keep his now-defunct airline afloat. "I did not borrow a single rupee. The borrower was Kingfisher Airlines. Money was lost due to a genuine and sad business failure. Being held as guarantor is not fraud," he said in his recent Twitter post on the issue. Vijay Mallya case Latest Updates: A UK court orders the extradition of Vijay Mallya, wanted in India for alleged fraud and money laundering charges. Embattled liquor tycoon Vijay Mallya, wanted in India on alleged fraud and money laundering charges amounting to an estimated Rs 9,000 crores, is set to appear before the Westminster Magistrates' Court here on Monday when his extradition trial is listed for a judgment hand-down. He has contested his extradition on the grounds that the case against him is "politically motivated" and the loans he has been accused of defrauding on were sought to keep his now-defunct airline afloat. "I have offered to repay 100 percent of the principal amount to them. Please take it," the flamboyant businessman tweeted earlier.